Ancient Shogun - "A samurai should always be prepared for death - whether his own or someone else's"
Ancient Shogun- "Ahhh….May you die with honor…. " 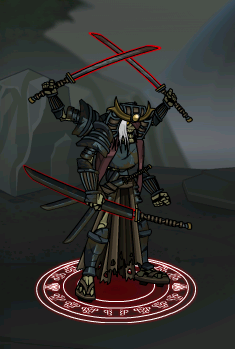 Evolve Crypt Samurai at Level 20. Thanks to Lord of Pandemonium and The Jop.